Undaunted by the power and resources of Apple Inc., Proudly-Pinoy handset maker MyPhone valiantly defended its right to use its brand name to do business in the country in a court battle that spanned six long years and eventually wins. Unbeknownst to almost everyone, in 2007, Apple filed a case against MyPhone here in the Philippines, claiming - in effect - that the latter is a mere second-rate trying-hard copycat that aims to ride on the success of the best-selling first-generation iPhone to sell its own products. 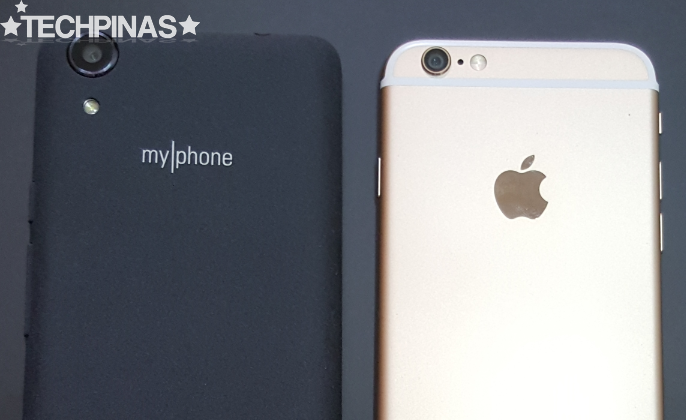 Apparently, Apple found the brand name 'my|phone" to be uncomfortably identical to their 'iPhone' that they deemed it best to enter into a court fight on our shores to put an end to MyPhone's existence. 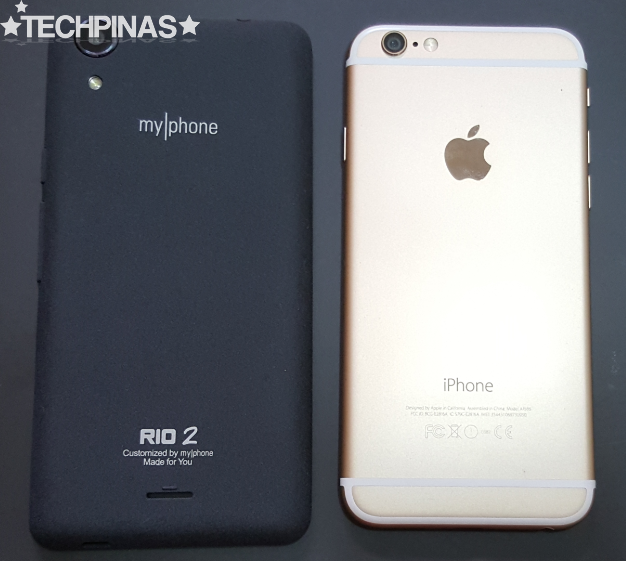 MyPhone Rio 2 and Apple iPhone 6: Though in different price echelons, both handset models are very popular here in the Philippines. Well, the other day - June 1, 2015, MyPhone broke the news on its official Facebook page and shared with their fans and followers that they've been victorious against Apple in this epic legal battle. Quoting the company, "[This is a] Classic David and Goliath Story! Global Giant Apple sued MyPhone the 1st and Leading Mobile Phone Brand in the Philippines over trademark issues 6 years ago. But true to its vision of providing the Filipino people with a competitive mobile product positioned for the local market, the ruling favored ‪#‎MyPhone‬ thus winning the court battle. A truly inspiring story for all Pinoys!" According to court documents [source], Solid Broadband Group - the company behind my|phone - actually filed for the trademark of the said brand name on June 25, 2007, which is four days before the launch of the first-gen iPhone in the United States. Given this and with careful consideration of other evidences presented in court, the Intellectual Property Office of the Philippines released a decision last week favoring MyPhone and said that "[the] buying public should be credited with a modicum of intelligence and discernment in purchasing [...] mobile phones where brand patronage or consciousness is prevalent" and also noted that the marketing and advertising collaterals of MyPhone - which promotes itself as a proudly Filipino phone brand - have 'distinct commercial impressions' compared to that of Apple. As of writing, Apple is still caught in various legal battles in many the world to protect its patents and trademarks. Some of the companies that the Cupertino company has locked horns with in court fights include Nokia, HTC, and - perhaps, the most well-publicized of all - Samsung. Considering how fierce and feisty Apple is in defending everything that it deems to be 'within its trademark territories', one can say that MyPhone's victory over the American Tech Giant is indeed a landmark achievement. Inspired by MyPhone's courage, let me say this: "Basta nasa tama, hindi dapat nagpaaapi ang mga Pinoy."